A visit to Salt Cay is essential if you want to understand the history of the Salt Islands. 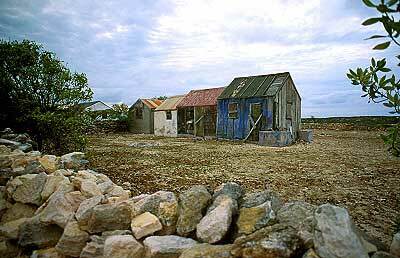 Little has changed in Salt Cay since 1900, when the Salt Industry flourished. As early as 1500’s the island was a port of call for early Spanish mariners, as it lay along the homeward course of ships that stopped for precious salt on their way out of the Caribbean. In the 1700’s salt trading was further developed by Bermudans who attained a monopoly on the Caribbean salt trade, creating ponds linked to the sea by canals and sluice gates, with windmills controlling water flow. The Bermudan influence remains on Salt Cay to this day even though in the late 1700’s the salt islands were being claimed by the Bahamas, France, Spain and England. At one time, Salt Cay was the world’s largest producer of salt: in its heyday, over 100 vessels a year left the island with their cargo of `white gold’, a valuable trade commodity, important in food preservation to the colonies in the north. The solar evaporation method used in harvesting salt in the Turks and Caicos Islands was not only seasonal but very labour intensive. Sea waters were let into large shallow basins and then baked dry in the scorching sun. Salt rakers then raked the crystallized salt into small piles, carted it to the salt sheds for storage where it was later packed it into cloth bags, carried to the salt lighters for transport to the larger ships anchored offshore. Meanwhile the salt rakers cleaned and prepared the salt pans for the next cycle of salt water evaporation. Salt raking was such a successful, industrious venture that in 1845 the official census shows 676 souls living on Salt Cay, with 600 of that population being manual labour and their families the remainder the salt proprietors and public officials. Over the years Salt Cay has been in the path of hurricanes, 1813, 1815, 1821, 1866, 1888, 1908, 1926, and 1945, typically during the month of September resulting in flooding which demolishes the salt ponds and homes and leaves hundreds of islanders destitute, ships and industries destroyed and lives lost. During the First World War, Turks Islands’ salt sales were boosted because of the absence of competition from the Mediterranean area. Local salt producers thrived until the terrible depression of the 1930s crushed the islands’ economy. The solar salt industry was revived again in the 1940’s when other global sources were cut off once again by the war. Exports remained steady until 1964 when the industry tapered back down to a quiet stop. Buildings, salinas and artifacts essential to solar salt production still remain.